(NaturalNews) A Michigan mother's painful journey to find answers to her son's mysterious death has unearthed yet another case of vaccine-induced early mortality. The untimely fate of Elijah Daniel French, who was born on May 4, 2007, and died just days after receiving eight routine vaccinations in accordance with the Centers for Disease Control and Prevention (CDC)'s recommended vaccine schedule, has been determined by a child death investigator and several pathologists to have been caused by the vaccines. As originally reported by VacTruth.com (and archived here), young Danny's (as his parents called him) heartbreaking story begins like many others: He was completely healthy, smiling and normal until being jabbed by establishment white-coats with multiple government-recommended vaccines all at once. He quickly digressed into poor health, almost immediately suffering from breathing problems and high fever. According to the family's account, Daniel was vaccinated for seven different conditions at five-and-a-half months old, including with DTaP, hepatitis B, polio, Hib and pneumococcal vaccines. Despite suffering immediate adverse effects, Daniel was brought back to the doctor's office just a few months later and jabbed again with all the same vaccines. This time his condition worsened, and he quickly developed asthma. Believing that her child's doctor knew what was best, Daniel's mother brought him back for a third round of vaccines at 14 months old. This time, the boy was given eight vaccines in four separate injections: MMR (measles, mumps and rubella), Hib, varicella and DTaP. This is when things for Daniel took a serious turn for the worse. "That night, Danny was still eating and drinking but was cranky and slept more than usual," his mother reported. "By the next day, he was extremely fatigued, irritable and had a loss of appetite. He did not have a fever at this time. He was red and warm where they injected him. These symptoms only worsened." "By the third day, Danny was unable to stay awake for longer than thirty minutes, he had zero food intake, his fluid intake diminished and he cried excessively. Seventy-one hours after his doctor visit, Danny developed a fever from the vaccines and was given Children's Tylenol. His doctor was called but there was no answer from him because it was the July 4th holiday, the office was closed." Long story short, Danny fell asleep not long after being given another round of Children's Tylenol, and when his mother came back a few hours later to check on him, his body was cold and unresponsive: Young Danny had died. And the cause of death, as Danny's mother would only find out years later after conducting her own thorough investigation, was the vaccines he was given. The initial autopsy report declared that Danny had died from asphyxia in an undetermined manner, but the boy's mother wasn't satisfied with this explanation. She soon discovered that the official death report noted acetaminophen from the Tylenol in Danny's blood, but nothing from the vaccines, pointing to a cover-up. 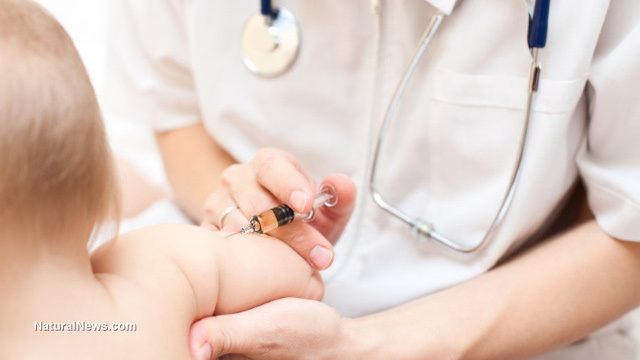 As it turns out, the medical examiner involved was bent against implicating vaccines as a possible cause of sudden infant death syndrome (SIDS). Danny's mother decided to consult with other medical experts to gain second opinions, and what they all unanimously determined is that, based on blood and tissue samples taken from Danny's body, the boy had definitely died from the vaccines. "Everything was reviewed by three separate pathologists," she said. "All three confirmed the same findings. The pathologists stated vaccine-induced hypercytokinemia as the cause of my son's asphyxiation. They were able to determine this in large part to the blood panel taken prior to Danny receiving his vaccines, in contrast with the samples I had stored." "They also agreed encephalopathy was likely responsible, as it's a cytokine storm syndrome. Danny's pathology report stated his cause of death was asphyxiation, secondary to hypercytokinemia, caused by vaccines received approximately 72 hours prior."